What does a tobacco free life mean to you or to the young people in your life? 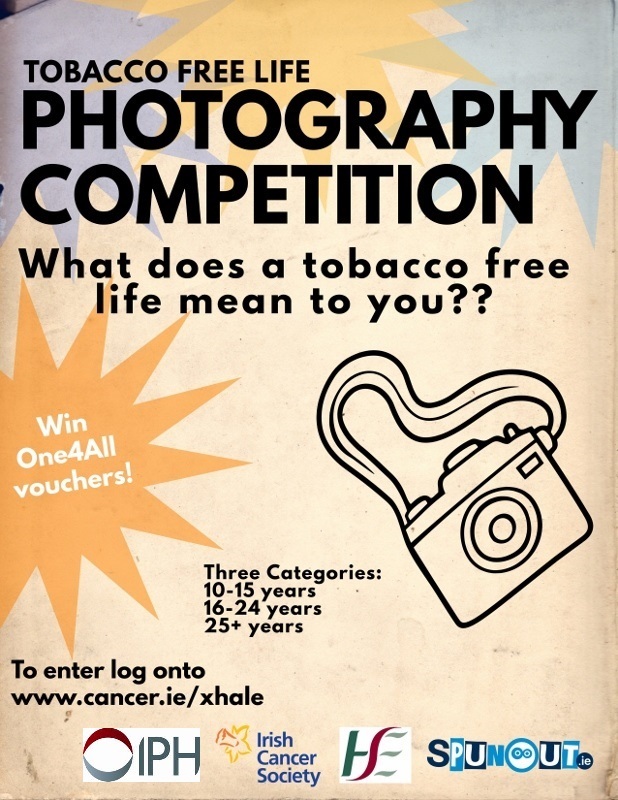 Members of the Tobacco Free Ireland Partners Group invite you to participate in our Tobacco Free Life Photography Competition as part of World No Tobacco Day. We want to see and hear about what living a tobacco free life means to you…. Take a photograph and write an accompanying caption that illustrates what living a tobacco free life means to you or your group. This exciting competition is NOW OPEN for entries under three age categories with one for all vouchers up for grabs! Entries will also be displayed on partner social media channels and at the Tobacco Free Partners Conference on World No Tobacco Day.